“I entered college with an interest in journalism but during my second year of college I began working in the medical school and changed my major to zoology with a minor in women’s studies. This put me on the path toward human medicine, with an emphasis on women’s health. “I feel privileged to work with physicians who have such integrity and are so dedicated to helping women who come from many different backgrounds. I spent time practicing at a teaching hospital in Ghana, Africa and at the Indian Health Service in Alaska during my medical residency because I believe every person deserves good medical care. I didn’t realize how much that right extended to reproductive medicine until I had children in my late 30s. As a mother and doctor, I want to help everyone struggling to conceive to have a child of their own. “As my patient, you can trust me to be open and direct. I want you to be able to make decisions and follow treatment plans based on having all the information you need about your diagnosis and options. But I’m also willing to provide my opinion when making a choice feels too tough. 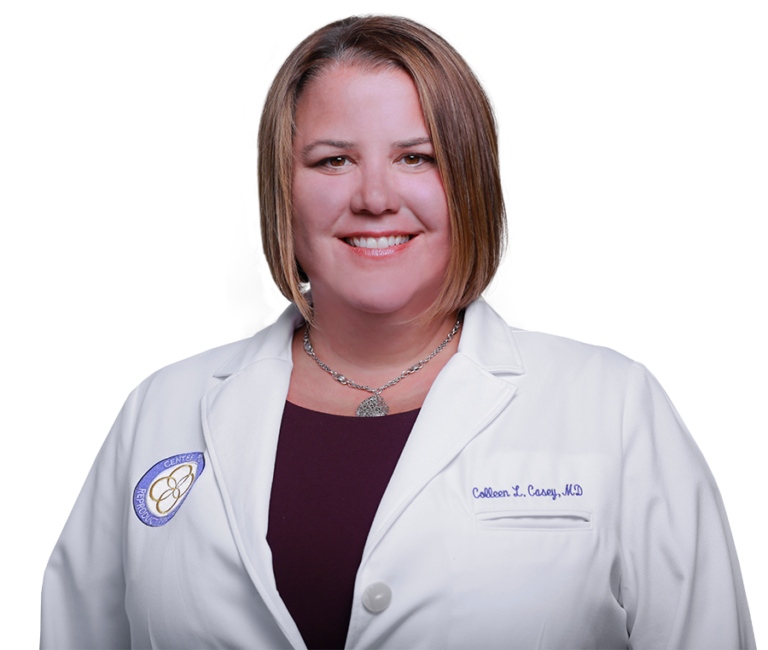 Dr. Casey joined the Center for Reproductive Medicine in 2011 after working several years at a private practice infertility clinic in the Twin Cities. During her fellowship, she was awarded a T32 National Research Training Program in Reproductive Medicine to support two years of her research on how hormones relating to obesity alter reproductive potential. She has presented that research at numerous national and international meetings. Dr. Casey is an active volunteer in the profession, serving several years on the Advisory Council of the Minnesota Chapter of ACOG since 2010, and on the District VI ACOG Legislative Committee. She lives in Lake Elmo with her husband and two young children, where she enjoys her free time running, knitting, reading and spending time with her family. Knitting, reading, hiking, skiing and cooking. I love the State Fair and submit something every year to the Bee and Honey Competition.